Your SFI business works best when there is duplication from generation to generation in your organization. And that's exactly what our Affiliate Builder Bundle is specifically designed to help you do! Created to make duplication simple and easy for all affiliates, the Builder Bundle delivers to you a powerful monthly package of up to 15 new PSAs and CSAs and 100 mighty TCredits--all at a special low price. To make it even more powerful, Builder Bundle also generously includes 350 Rewardicals...and 1500 VP! The price for this bounteous bundle of goodies is just $59, saving you $9 off the MSRP of $68! So, for just $1.97 a day (less than the cost of a cup of coffee), you get: * An EA-qualifying 1500 VP each month! * 100 Mighty TCredits! * 8 freshly-generated PSAs and 2 CSAs each month to grow your group! * 350 Rewardical tokens! NOTE: Your 2 Builder Bundle CSAs will be assigned to you immediately. Your Builder Bundle PSAs will begin to arrive the month following your purchase. GET AUTO-DELIVERY FOR AN EVEN BIGGER VALUE! By setting your Builder Bundle for monthly auto-delivery, you'll get a FURTHER discounted price...PLUS 5 additional CSAs. Together, that's a $113 value for only $55 (just $1.81 a day)! The auto-delivered Builder Bundle includes the following items: * An EA-qualifying 1500 VP! 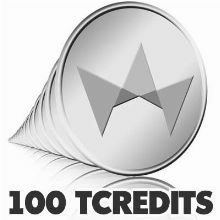 * 100 Mighty TCredits! * 15 fresh PSAs and CSAs (8 PSAs and 7 CSAs) to continually infuse your group with growth and momentum! 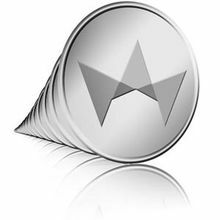 * 350 Rewardical tokens! * A prestigious new badge that comes with 500 Badge Quest points! UNLIMITED EARNING POTENTIAL Each Builder Bundle includes $20.00 CV. That means a $4.00 Direct Commission for sponsors and a $1.60 Co-Sponsor Commission. Combined with all the benefits that come from the EA status earned from this purchase, the Builder Bundle is a slam dunk deal for SFI affiliates serious about building a lucrative internet business with continual monthly growth! NOTE: Your Builder Bundle PSAs will appear in your Genealogy report with keycode 1102. THE DIAMOND PLAN To see Builder Bundles "in action," see THE DIAMOND PLAN at the SFI Affiliate Center, with information spelling out how much you can earn and how big your group can become if everyone has a monthly Builder Bundle subscription! YES, I'd like to pay just $55.00 now and set up this item for automatic monthly delivery. No obligation. Cancel anytime. Your SFI business works best when there is duplication from generation to generation in your organization. And that's exactly what our Affiliate Builder Bundle is specifically designed to help you do! Created to make duplication simple and easy for all affiliates, the Builder Bundle delivers to you a powerful monthly package of up to 15 new PSAs and CSAs and 100 mighty TCredits--all at a special low price. To make it even more powerful, Builder Bundle also generously includes 350 Rewardicals...and 1500 VP! The price for this bounteous bundle of goodies is just $59, saving you $9 off the MSRP of $68! * An EA-qualifying 1500 VP each month! * 8 freshly-generated PSAs and 2 CSAs each month to grow your group! NOTE: Your 2 Builder Bundle CSAs will be assigned to you immediately. Your Builder Bundle PSAs will begin to arrive the month following your purchase. GET AUTO-DELIVERY FOR AN EVEN BIGGER VALUE! By setting your Builder Bundle for monthly auto-delivery, you'll get a FURTHER discounted price...PLUS 5 additional CSAs. Together, that's a $113 value for only $55 (just $1.81 a day)! * An EA-qualifying 1500 VP! * 15 fresh PSAs and CSAs (8 PSAs and 7 CSAs) to continually infuse your group with growth and momentum! * A prestigious new badge that comes with 500 Badge Quest points! Each Builder Bundle includes $20.00 CV. That means a $4.00 Direct Commission for sponsors and a $1.60 Co-Sponsor Commission. 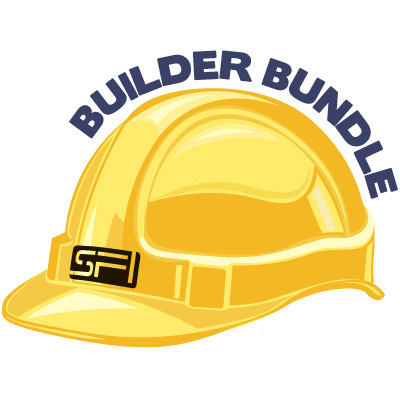 Combined with all the benefits that come from the EA status earned from this purchase, the Builder Bundle is a slam dunk deal for SFI affiliates serious about building a lucrative internet business with continual monthly growth! NOTE: Your Builder Bundle PSAs will appear in your Genealogy report with keycode 1102. To see Builder Bundles "in action," see THE DIAMOND PLAN at the SFI Affiliate Center, with information spelling out how much you can earn and how big your group can become if everyone has a monthly Builder Bundle subscription!